Board the Millennium Falcon and start a journey to a galaxy far, far away! 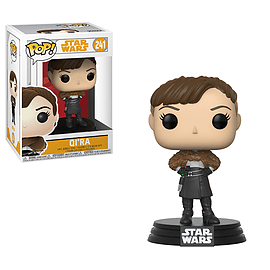 Funko is excited to announce Solo: A Star Wars Story now featured as Mystery Minis, Wobblers, and of course Pop! As we eagerly await to watch the story of the young Han Solo, collect all Solo: A Star Wars Story Funko products this April! Don’t forget to watch Solo: A Star Wars Story in theatres end of May 2018!